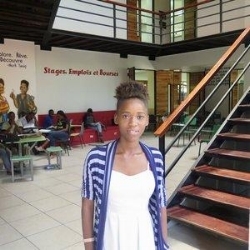 The Haiti Youth education fund empowers Haitian students to attend a University in Haiti. Five students in Thayer's Global Scholars Program have recently launched Project Angel to support educational development in countries with populations that are under-served. Supporters can purchase an angel made by artists in Port-au-Prince, Haiti from upcycled oil drums. Proceeds from the sale will help fund the Jou Nouvo Haiti Youth Education Fund (HYEF). Click the button and select 'Annie Huycke, Jou Nouvo' to get yours! Your donation not only helps to make the aspirations of determined, inspired students a reality, but also supports Haiti’s next growing generation of educators, entrepreneurs, diplomats, and medical practitioners. The cost of one semester at university in Port-au-Prince is roughly $750 US dollars (not including housing and transportation fees). Any contribution is a welcome addition to realizing one more student’s dream of a university education. Haiti Youth Education Fund is planning for $7,000 to be the full financial support required for one student to complete four years of University education at a top school in Haiti. This includes tuition, books, and a laptop computer. In addition, Jou Nouvo is committed to support each of our students succeed by engaging closely with them throughout their university journey. We encourage families, schools, churches and organizations to consider sponsoring a specific student which offers the possibility to engage directly with ‘your’ student and build a powerful, meaningful relationship over time. The Haiti Youth Education Fund was initiated by Annie Huycke in her Senior year of High School. In 2015, Annie and family went to Haiti to visit the 7-year-old girl named Leetchmie Augustin whom they sponsor through Jou Nouvo. Over the course of their visit, Annie was incredibly lucky to develop a close friendship with Medjine Charles, Leetchmie’s 19-year-old cousin. 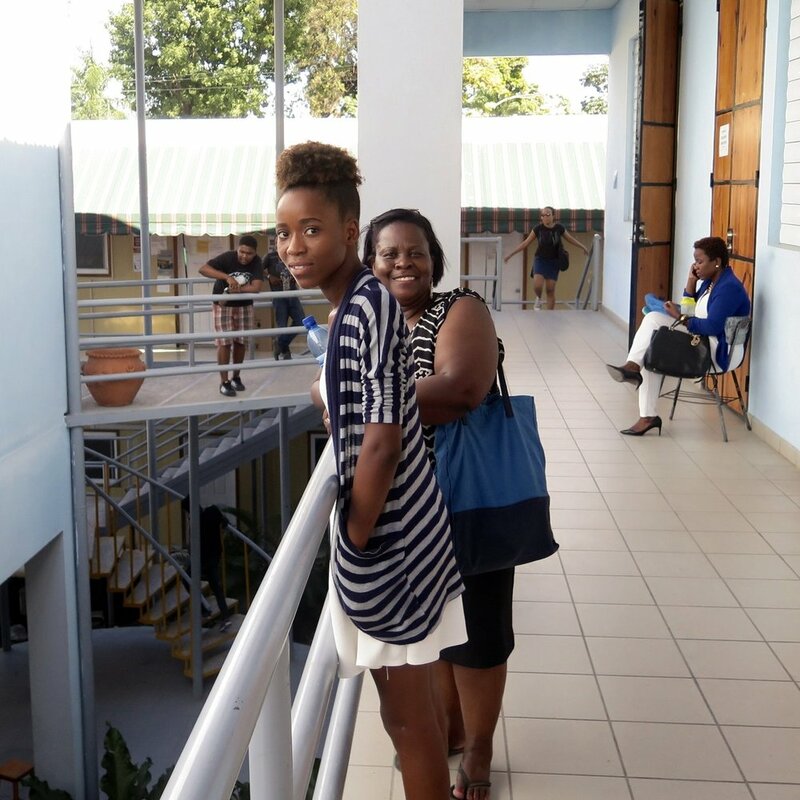 Through WhatsApp and Facebook, Annie and Medjine keep in close contact, referring to each other as “soeur” or sister, despite the geographical distance separating Bon Repos, Haiti and Boston, MA. "The HYEF is an initiative inspired by Annie Huycke, from my experience at Quisqueya University. We met in 2015 when I was 19 years old and since then have become inseparable sisters, despite the distance. In 2017, Annie and her family proposed to financially help me go to University. An impossible dream for me was realized. With a university education, doors will open up for me. I have the possibility for a better life. I will be able to work and help my family, help the Environment and help our Community. To quote Immanuel Kant ‘Man cannot become man without education’. Even if it’s not always easy, I apply three methods to succeed; determination, effort and sacrifice. These methods also caused the HYEF to be born. I would like to call out to all sponsors that Jou Nouvo is doing extraordinary work in the Bon Repos community. It is permitting students going to university to begin a brand new chapter in their life." “An impossible dream for me is being realized. With a university education, doors will open up for me. I have the possibility for a better life. I will be able to work and help my family, help the Environment and help our Community. To quote Immanuel Kant, ‘Man cannot become man without education.’ Even if it’s not always easy, I apply three methods to succeed; determination, effort and sacrifice. These methods also caused the HYEF to be born. I would like to call out to all sponsors that Jou Nouvo is doing extraordinary work in the Bon Repos community. It is permitting students going to university to begin a brand new chapter in their life." If you have any questions about the Haiti Youth Education Fund, please contact Jou Nouvo Board Member John Huycke at john@jounouvo.org.